I get a lot of new agents coming to me saying they have no confidence because they are yet to do any deals. If a new agent has yet to list a property or has only listed a few without selling many, they are unsure of whether or not they can actually succeed in this business. We all know that confidence is the key to succeeding as a real estate agent. People list with us because of our confidence and belief in our ability to get them the highest the market is prepared to pay. Ultimately, the sellers will choose the agent that they believe is the most confident in getting them this price. So, how do new agents, or agents that are struggling to get consistency in their business, find confidence? To build confidence you need to try something different. Your first step should be to seek out training and coaching to learn new systems. This is not always easy, and you may be pushed out of your comfort zone, but that is exactly what you need. 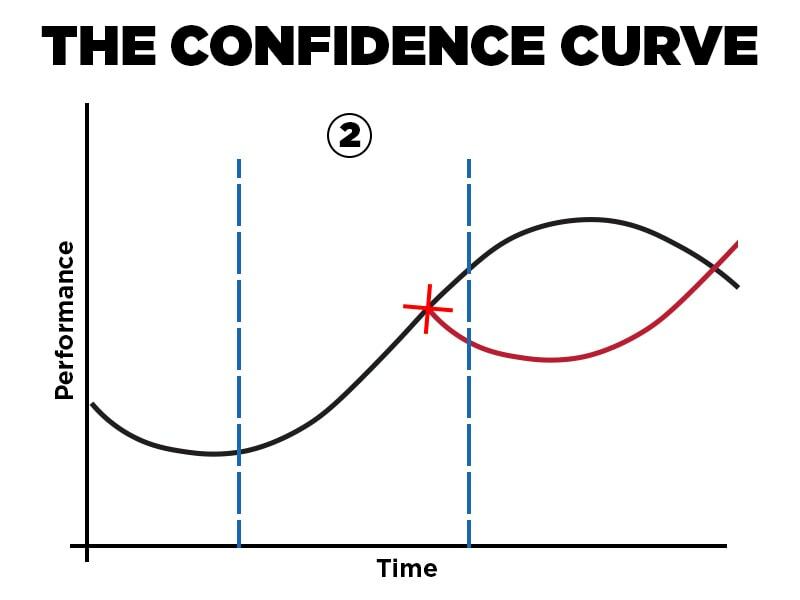 Once you have taken the important step and decided to do something about your situation, you will begin your path along the Confidence Curve. Once you’ve taken the first step, you will begin experiencing the Learning Curve. The reason for the small decline at the beginning is due to the fact that in times of experimenting and learning new things, you may see little reward, even if you are doing all the right things. Then comes the lightbulb moment where you start putting the things you’ve learnt into practice and you start to experience Growth. This is where things start to make sense and you start gaining confidence that you can actually succeed. You’re energised, you’ve learnt how to succeed, and you’ll start seeing an increase in your sales and growth, and your confidence will be on an upwards trajectory. The third phase is Maturity. This is where you’ll experience the growth from the second phase starting to cool. Your energy levels will drop, and you become complacent. Eventually, your peers will catch up and overtake you, giving your confidence a huge hit. You will then find yourself in a sharp Decline. Your strategies and confidence will begin to fade, and you’ll no longer be achieving the results you want. The key to avoiding this decline is to Reinvent. Knowing when to reinvent is the difficult part. 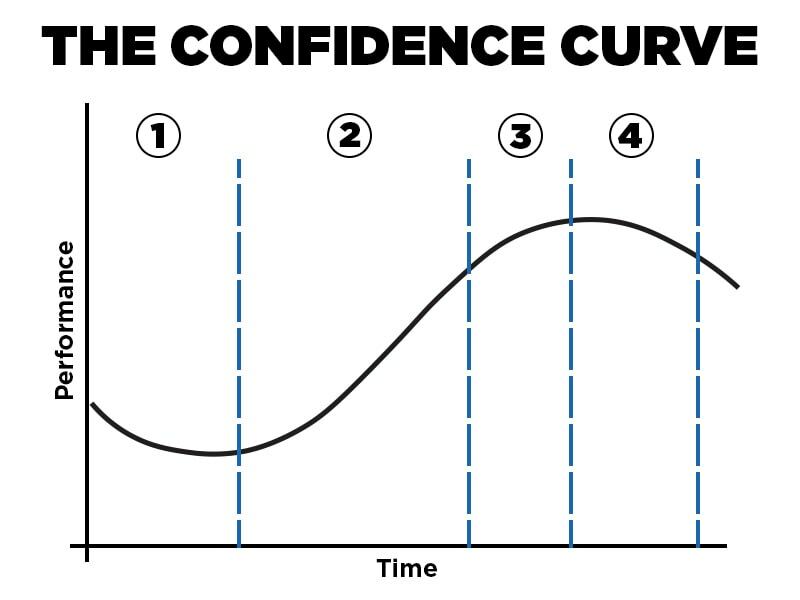 During the Maturity phase, you’ll reach a plateau in growth and your business and your confidence will stagnate. The ideal spot to begin this Reinvention is at the 75 – 80% mark in the Growth phase. This may be a hard pill to swallow, as this is the point where you are growing, and life is good. 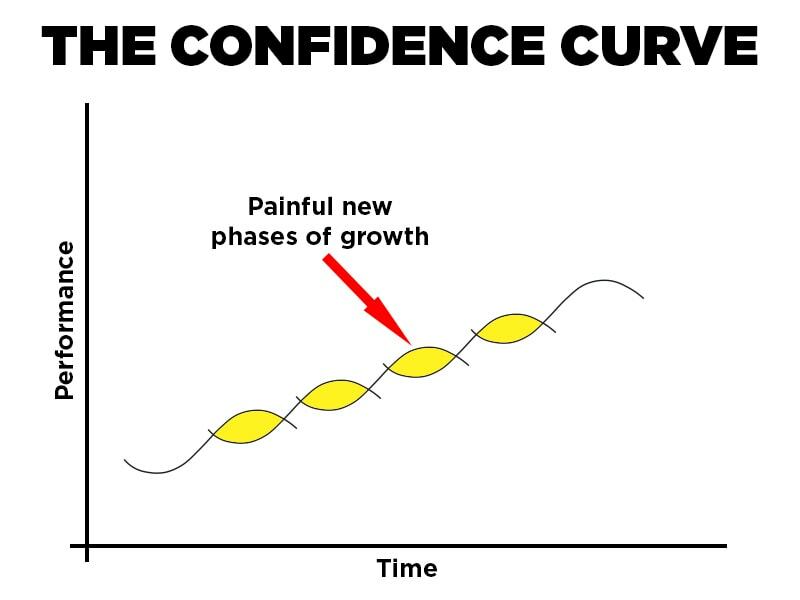 However, the truly successful and confident people continuously reinvent themselves and their business by pushing through the painful new phases of Growth. So, take the first step in building your confidence and business by attending my FREE 1-day Real Estate Intensive workshop. You’ll discover the strategies used by the top 1% of agents to generate more leads, listings, and close more sales, while working fewer hours than ever before. Boost your confidence today and claim your FREE ticket today! 3 Powerful tools to Achieve more In real Estate Than You Ever Imagined! Want a Free Coaching Consult?